to this site we hope you find more about our fellowship as you navigate it and we have included all that you want to know about our life together. Please take time to browse and if you need any further information then do contact us. If you like our Facebook page you will receive regular updates and information. 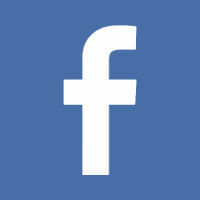 Please click on the Facebook icon here and you will be automatically redirected. We centre life together around our vision - Jesus at the Heart and with our mission - to be inspired by the Holy Spirit to serve, share and support. Our mid-week groups for all ages aim to apply this and live it out. Please click on the What's On box for our regular activities. Also please see in the box below for future dates. We are the Church of England Parish Church serving the community of Kempshott and are blessed with a fellowship of all ages that adds richness to all that we are involved in. We believe that Jesus is at the heart of our community and invite you to come and find out more about Him. If you are new to the Kempshott area you may wish to download our welcome pack. Click on this link to open the pack. Saint Mark’s has a partnership with Shoemakers – the Christian books and coffee shop in Newbury. Shoemakers can supply books, CDs and DVDs from a wide range including both Christian and secular titles. Also available is a selection of gifts and cards with and without Christian messages. Talk to Steve Wood about your requirements or download and complete this order form. You can visit Shoemakers in Newbury at The Arcade, Market Place, Newbury, Berks RG14 5AD and take a look at their website. Our new Mission Action Plan (pMAP) is now available. Please click this link to download. St. Mark’s, like all Church of England churches, is self-financing. All costs; including staff salaries, heating, lighting, insurance and general running costs come from the local congregation. If you would like to give to the work of St Mark's and are a tax payer please click here to download a gift aid form. If you would like to make a regular contribution to the work of St Mark’s please contact the Parish Office. Alternatively you can give to St Marks's just by shopping online. Give as you Live enables charities to raise funds by obtaining discounts for those who use its search engine. Please click the following link for more information or here to be directed to their website. If you would like to take a look at our annual report please click on the following link. In 2012 we celebrated 25 years of service from our current building, here are some of our Testimonies and Stories from that period. Copies are also available free of charge from church. A copy of our expense form can be accessed here.